MIAMI—The Miami Marlins announced Saturday they are completely sold out of tickets for the 2012 season, ending a deluge of requests from area residents completely rabid about the long-ignored team's new cap and uniform colors. "Until three weeks ago, I didn't know anyone around here who gave a crap about the Marlins, but when they changed up their colors, we were all like, 'Oh, man! Wow! Blue, yellow, black, and orange?'" said new season-ticket holder Gord McCullough, adding that like the majority of Miami residents, he once would have preferred sitting in traffic for four hours to attending a Marlins game, but now, because of the revamped logo's stylized fish and the addition of the city's name to the team, can't imagine life without trips to the ballpark. "I don't even really care that it's basically the same lineup as last year. Did you see [Miami mascot] Billy the Marlin's new look?" 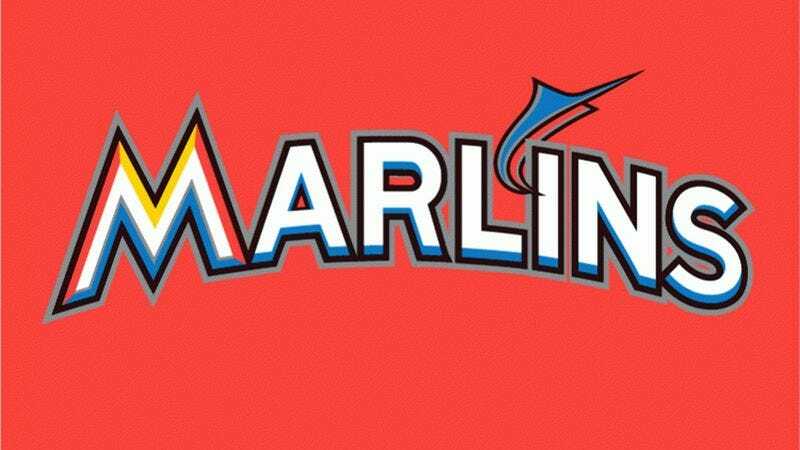 Club management confirmed that by the All-Star break, when the hype has died down, the team is below .500, and people stop showing up for games, the tarp that typically covers all of the unsold seats in the stadium will also have a new Marlins logo on it.